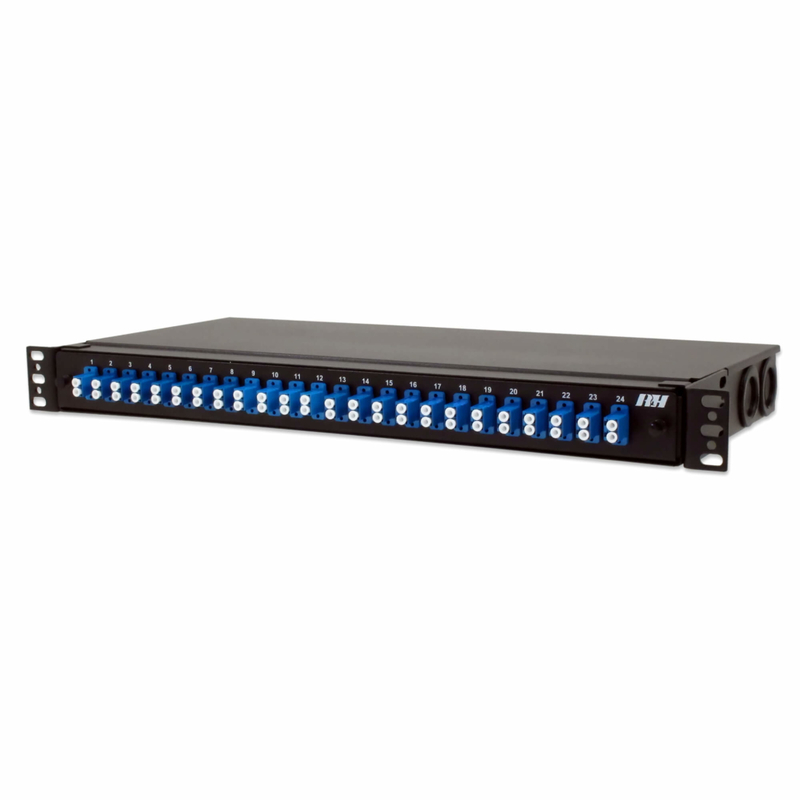 The High-Density 1RU Fiber Patch Panel is used to house fiber terminations and accommodate patching of low and high density fiber cable breakouts while minimizing the space required in a rack. The slim 1RU enclosure can be installed into EIA 19” or 23” equipment racks, and is designed to occupy the minimum amount of rack space while offering a generous capacity up to 96 fibers. Patch panels come pre-loaded with your choice of adapters. It is constructed of durable powder coated steel with removable front connector panel and cover for easy access to fiber optic cables. The self sealing rubber grommets and internal fiber cable spools are included to provide convenient installation of the High-Density Fiber Patch Panel.